This week I have a nice little skull for you to identify. Any idea what this is? As usual, you can put your suggestions, comments and questions below and I will do my best to answer – although it may take me a while as I have a NatSCA meeting for most of the day. Good luck! Looks a lot like a grey squirrel, but it would have to be a squirrel to be the size of a cat. Some kind of big rodent ? I think Jake’s on the right track. I’m not certain, but if I new how much lumber it could throw I might have a better idea. Yes indeed – it is a squirrel the size of a cat! Definitely a rodent.But its a big one. Doesn’t look like a beaver, capybara or coypu though. Perhaps a porcupine of some sort? 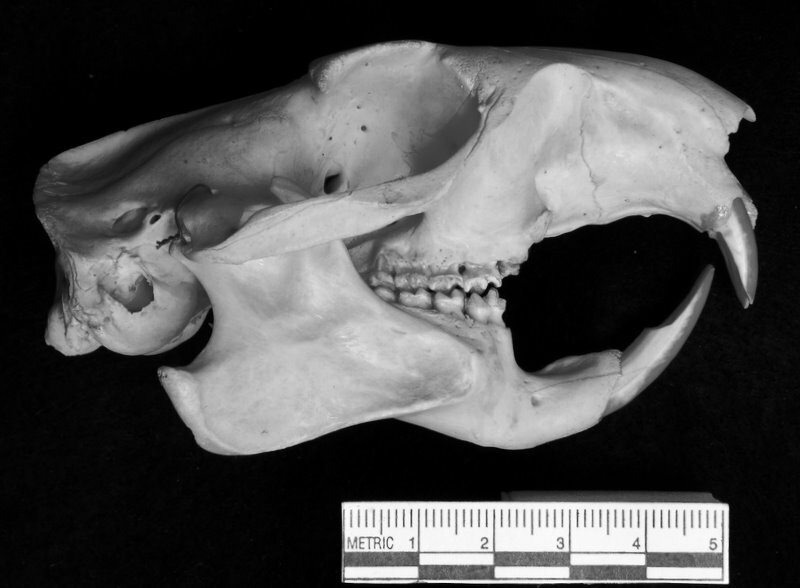 I was convinced it was a Naked Mole Rat skull.. until I saw the scale bar. I think I’ve got it from Neil’s hint.. The postorbital process is a give away for the Sciuridae family a.k.a. squirrels, colud it be a Giant Squirrel (Ratufa sp)? shouldn’t a Giant Squirrel be a Squirr without the diminutive -el? A close relative of Punxsutawney Phil? Let us begin by working this out logically. It’s a rodent. It has four cheek teeth, therefore it is not a myomorph (rats, mice, etc.) 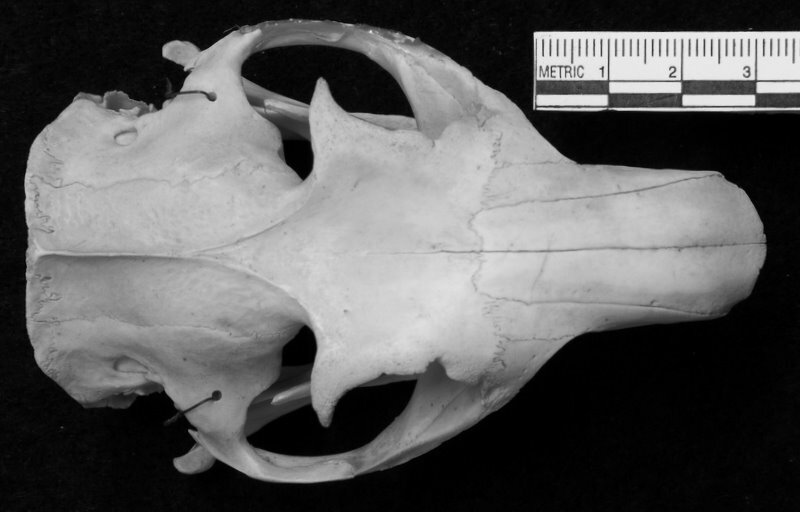 The angle of the jaw rules out hystricognaths (guinea pigs, etc. ), therefore, by a process of elimination, it is a “squirrel-like” rodent. It is too small to be a beaver, and the wrong shape to be a gopher, ergo, it is, indeed, a squirrel.